WestJet’s Dreamliner made its official debut when it pushed back on its first revenue flight on February 20 from Toronto Pearson International Airport. 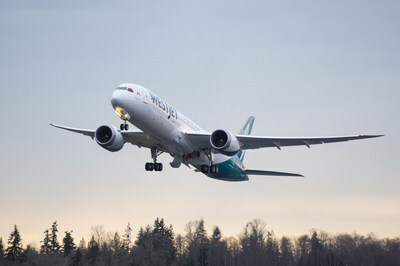 The aircraft, heading for Calgary, was carrying WestJet guests for the first time. This entry was posted in WestJet and tagged WestJet on February 21, 2019 by Bruce Drum.